Perhaps you need to be of a certain generation to get nostalgic over the low-fidelity, awkward, more-fragile-than-it-looks technology of movies on VHS tape. Those little plastic movie bricks storing reels of magnetic tape aren’t just outmoded twentieth-century technology, they’re downright archaic, not to mention fatally impermanent. That’s not to say that DVD is forever, but apart from the fragility of those half-inch ribbons, which get brittle over time and can get creased or crinkled or snapped as they are wound across the spinning drums of the VCR with pincers that wouldn’t be out of place in a David Cronenberg film, the magnetic seal holding the information recorded on the oxide strip of the tape decays over time. The images will eventually break up, dissolve, evaporate into the ether. In the case of many tapes from the beginning of the video era, they already have. But as former video store mogul Sam Sherman remarks in the documentary Adjust Your Tracking, “People will collection anything,” and there is tremendous nostalgia associated with VHS tape and video culture it defined from the first “Select-a-Vision” commercial tape releases in 1977 to A History of Violence, the last movie released on VHS by the studios. It’s no exaggeration to say that the videocassette changed our relationship with movies. And like most surviving video store in the age of instant streaming and video-on-demand, Scarecrow is struggling to keep customers coming through the doors. General manager Kevin Shannon reports that rentals have dropped over 50% in the last six years. On Saturday, February 11, Douglas Trumbull will receive the Gordon E. Sawyer Award from the Academy of Motion Picture Arts and Sciences for his contributions to the technology of the industry. Trumbull has over a dozen patents in his name, and developed or improved upon many of the filmmaking techniques that are standard in today’s industry, among them miniature compositing, high frame rate photography and motion control photography. This is his second special Oscar—though nominated for his special effects work on Close Encounters of the Third Kind, Star Trek: The Motion Picture and Blade Runner, his only previous Oscar a Scientific and Engineering Award from 1993, for his work developing the 65mm Showscan Camera System. To mark the occasion, I have revived and expanded an interview I conducted with Douglas Trumbull in 2005, originally published in shorter form on Greencine in January, 2006. Douglas Trumbull is unique among American filmmakers. At age 23, he was part of the team that pioneered the next generation of cinema special effects in Stanley Kubrick’s visionary 2001: A Space Odyssey. It was education you couldn’t get in film school and he continued to expand his skills and techniques in such films as The Andromeda Strain, Close Encounters of the Third Kind and Star Trek: The Motion Picture. He made his debut as a director on the ecologically minded Silent Running, where his special effects crew included John Dyksra (who went on to become the Oscar-winning special effects supervisor of Star Wars and many other films) and Richard Yuricich (who partnered with Trumbull on many subsequent projects). Trumbull’s second feature as a director, Brainstorm, was all but orphaned by MGM and his directorial efforts since have been outside the Hollywood system, including short films in his own high-definition Showscan process (a large-frame film format that runs at 60 frames a second) and Back to the Future… The Ride,” a multi-media mix of film, sound, and simulator ride. More recently, Trumbull worked with Terrence Malick (another maverick director who commands complete control over this films) to create the birth of life sequences for The Tree of Life. Yet to this day, Trumbull’s name is still most closely linked with 2001 and his special effects work on the cult science fiction classic Blade Runner. Trumbull continues to explore the boundaries of what he calls “immersive media”–3-D, interactive media, virtual reality–and has been partnering with Professor Tom Furness of University of Washington’s HITLab (the Human Interface Technology Lab) with some of his projects. In November 2005, while in Seattle to meet with Furness, he made an appearance at the Science Fiction Museum for a special showing of Silent Running. In the midst of his multi-media presentation – using still and video footage launched from his lap-top to accompany his talk – he brought some of the working props form the film and donated a drone arm: his gift to the Science Fiction Museum. At the end of the very long day (after his exhaustive presentation, Trumbull gamely spent over an hour answering questions from the audience), he agreed to sit down for an interview over a late dinner, where we talked about his work with Stanley Kubrick, his own films as a director, and why he hasn’t directed a Hollywood film in over 20 years. Sean Axmaker: You had trained as an illustrator. How did you wind up in filmmaking and special effects? Douglas Trumbull: The story goes something like this. I was going to school at this community college in L.A., kind of learning illustration. I started out studying architecture and this was the pre-architecture curriculum, which was drawing, painting, water colors, graphic design. In that very first year I realized that I’m not specifically interested in architecture, I’m interested in this other thing. I started painting and illustrating and I had an air brush and I was trying to learn the skills of illustration, but I was a science fiction guy so I had my little portfolio that was full of sci-fi, Analog magazine cover kind of stuff, and I went into Hollywood looking for a job because I had no money, I couldn’t afford to stay in school. I took my portfolio around to animation studios, because that was my first inclination, animation and somehow making illustrations move,. I would talk to these really nice guys and they would look at my portfolio and say “You’re not in the right place. It’s great to have you here but you should try out this place across town called Graphic Films because they’re doing space films.” So I went over there and met Con Patterson, who worked on 2001, and Ben Jackson, and they were both mentors to me. They said “Yeah, we might could use somebody like you. We’ll give you a task. Paint this satellite and come back tomorrow morning,” which I did, and I got a job immediately and worked at Graphic Films for a couple years. I did some obscure films for the Air Force about the space program and then there was this one film about the Apollo program that was kind of interesting. I was painting lunar modules and lunar surfaces and the vertical assembly building on Saturn 5 rockets and animated this space stuff. And then Graphic Films got a couple of contracts to do films for the New York World’s Fair in ’64, it was a two year fair in 1964 and 65, and one of them was this dome thing called To The Moon And Beyond, which was kind of a Powers of Ten movie. It went from the big bang to inside an atom in ten minutes. A batch of discs from the MGM Limited Edition Collection, a MOD (manufacture-on-demand) line of releases sold exclusively via the web, was manufactured with errors in the image. In particular scenes with dark objects or hard lines set against a bright or neutral backgrounds, a halo effect, or ghosting, can be seen in the radiating out from the image (see frame captures below for an example). The problem, which has since corrected by Allied Vaughn (the company partnering with Twentieth Century Fox Home Entertainment in the enterprise), was the result of a faulty transcoder used in the replication process, according to a spokesperson from Fox. The problems appear to be limited to discs replicated during a particular window of time—the discs where I noticed the issue all arrived in early April—and a particular machine. 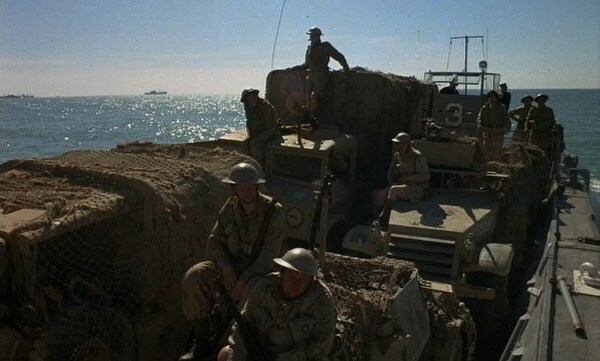 And they are most apparent on black-and-white films, though the Africa scenes of How I Won The War, with soldiers set against the desert or the clear sky, are also quite noticeable, especially on high definition widescreen monitors. The issue curiously went unreported and most DVD reviewers did not notice or comment upon it. I first noticed the issue on The Captive City, a black-and-white film noir with some stark, simple compositions—the haloing jumped out at me in every close shot of John Forsythe against a blank wall or an empty sky—and after confirming the issue on multiple players and monitors, I contacted a few colleagues and searched the web to see if anyone else had found the same issues. At the time, only one post on Home Theater Forum found the same ghosting on their discs and provided screen caps for illustration (thanks to the every vigilant DVD Savant Glenn Erickson for alerting me to that post). A few reviewers have since made similar observations. As many of you may know, there is disastrous news on the front page of The New York Times today. Verizon and other mega-conglomerates have conspired to kill the last democratic medium: the Internet. It is imperative that we all take action immediately to fight for the only true agent of free information and diversity left in this country. Please spread my anti-mega-conglomerate PSA to all your contacts and post it on your blogs. Call the FCC and your elected representatives and urge them to defend net neutrality. Go to Save the Internet and contribute your thoughts. We must use the Internet to speak out on this matter while we still can. Warner’s launch of the Warner Archive Collection, its new DVD on Demand site, was well covered earlier this week (see The New York Times’ The Carpetbagger, Susan King at the LA Times and Lou Leminick at the New York Post) but there’s been little follow-up in the days since. Maybe that’s because we’re all waiting for that first disc to arrive before we pass judgment in the efficiency of the system and the quality of the discs. There was a pretty slow response time when I got on the site on Monday, March 23. It had been launched a week earlier but this was the date that the press releases went out and the home video sites and related blogs all spread the news. Everyone needed to check it out and a lot of folks made their first order. The site launched with a curious collection of 150 films from the Warner Entertainment library of pre-1986 films from MGM, RKO Radio Pictures and Warner Bros., from westerns to romance, science fiction to melodrama, each one priced at $19.95 (or $14.95 for a digital download). They have little broad commercial appeal but have their fans, as evidenced by requests made over the years on sites like Turner Classic Movies and Amazon. 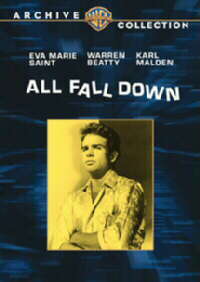 Some of the more familiar titles include All Fall Down with Warren Beatty and Eva Marie Saint, Mr. Lucky with Cary Grant (it was ubiquitous on VHS but nowhere to be found on DVD), Abe Lincoln in Illinois with Raymond Massey and Possessed starring Clark Gable and Joan Crawford. There’s plenty of early Greta Garbo and second-tier Clark Gable and Joan Crawford and Cary Grant and Spencer Tracy titles, as well as auteur oddities like The Bamboo Blonde (Anthony Mann) Countdown (Robert Altman) and The Rain People (Francis Ford Coppola). I was most excited by the silent film selection and I ordered Rex Ingram’s 1923 Scaramouche. Just yesterday I just received confirmation that my order was sent (free shipping, UPS ground) and is expected to arrive on Tuesday, March 31. 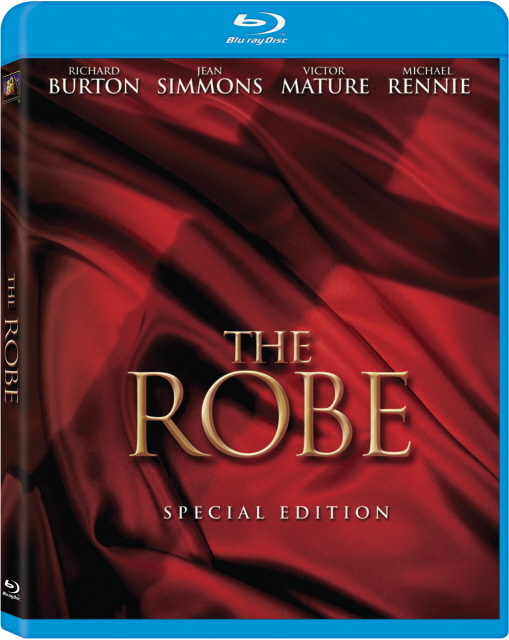 It a simple, no-frills disc, just the movie in a case with sleek artwork (and, if available, the original trailer), and George Feltenstein, senior vice president of theatrical catalog marketing for Warner Home Video, promises that they are all presented in their original aspect ratio. Given their source (most, if not all, have already been remastered and run on Turner Classic Movies), we should expect good quality transfers and mastering.